1. Cash Flow: Buy properties with positive cash-flow and by reinvesting the cash flow, you can reduce your time to payoff the debt, thereby quickly increasing your equity position. Successful remodel / renovation is required for active investor management. 3. Appreciation: To Build your Wealth, Own for the long-term. 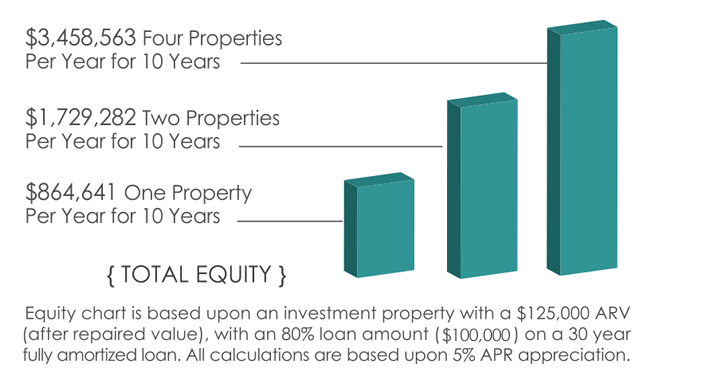 Watch your real estate investment portfolio grow in value over time.